Editor's Picks: Sports inspired gifts for your dad this Father's Day. Stumped about what to get dad? These sporty gifts are what he really wants. When it comes to Father’s Day gifts, I’m usually left stumped. My dad, like most I’d imagine, is notoriously difficult to buy for. While he’s generally as easy going as it gets, he’s seriously bad at telling you what he actually wants in a gift. Put it down to poor articulation because you’re lucky if you can get him to utter more than “I don’t want anything” under his breath. Yet when it comes to unwrapping time, he’s full of words. Namely, “I could’ve got this for a faaaaar better deal than you did”. Dads. Go figure. But this year, I’m determined to pick out a gift that will leave him no room for comment because it’s that bang on. 1. For the dad who is into the gym. A treadmill, elliptical or an exercise bike is a great place to start because you can never go wrong with a bit of cardio and working up a sweat. There&apos;s also the added benefit of being able to watch a show on the iPad or read a book or the paper while exercising too. We&apos;re sure dads won&apos;t be complaining about that. If you&apos;re after a piece of equipment that works as a perfect total body workout, a Water Rower like the A1 S4 Select Rower is a great option. It provides an efficient aerobic workout that&apos;s low impact and targets all the joints and major muscle groups uniformly. Dad can feel like he&apos;s part of an elite rowing club from the comfort of his living room. Winning. 2. For the golf dad. Does your dad thrive on being outside and loves the great outdoors? If the answer is a resounding yes, then this year might be the year you invest in some golf equipment. Whether he is a bit of a golfing rookie or spends all of his weekends on a golf course, we can&apos;t argue with them getting out of the house and soaking up some sun and fresh air. And maybe a hole in one! 3. For the cycling dad. If you&apos;re a bit embarrassed of the cycle wear your dad gets around in, maybe some new threads that he&apos;d actually want to be seen in is the way to go. Once he&apos;s all decked out, an upgraded bike might be calling his name or perhaps some nifty new accessories like a drink bottle attachment, a bike computer or a new helmet might lift his cycling game. 4. For the basketball dad. You&apos;d be hard pressed to find a dad who isn&apos;t into shooting some hoops in their down time. That&apos;s why a basketball system is a brilliant idea. The best part is, you don&apos;t need to leave the comfort of your own backyard to participate in a bit of swooshing action. Opting for a basketball system is also the perfect investment if you&apos;re looking for a family-friendly activity that lends itself to a bit of bonding time. A slam dunk for dad. 5. For the dad who is a bit hi-tech. When it comes to technology, I know my dad likes to be up there with the latest. He loves looking into the features and having a play with a bit of tech. That&apos;s where the Garmin VivoActive Heart Rate GPS Smartwatch comes in. It&apos;s the perfect hybrid between technology and keeping track of your fitness and overall wellbeing. 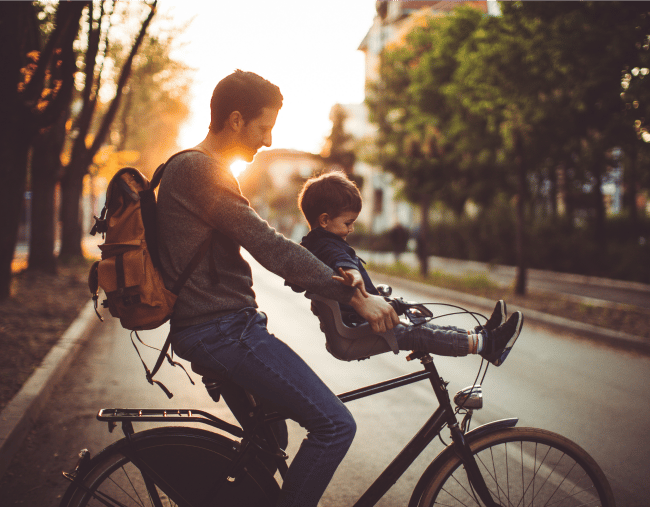 Something we know dads can have a bit of a tendency to neglect. This product covers all of the bases with activity tracking capabilities and the option to consolidate all of your fitness needs in one device. The wristband includes a heart monitor and has built in apps for running, cycling, golfing and swimming. It tracks steps, calories, distance and sleep as well. They&apos;ve really thought of everything. 6. For the dad who lives in his sports gear. Last but definitely not least (and a personal favourite of mine) is men&apos;s sports wear and footwear. My dad loves being comfortable which is why you&apos;ll usually find him in sports clothing at all times. He&apos;s currently in the market for a new pair of runners as his current ones are on their last legs. I&apos;ve been looking at the Nike Flex 2017 RN Men&apos;s Running Shoes for his next kicks as they&apos;re both breathable and comfortable while still looking trendy. Dad appreciates when we buy him clothes he can run around in and be comfortable in because it&apos;s something he would never go out and do for himself. It&apos;s Dad&apos;s day and we do need to look after them, after all. What sport does your dad like the most? What sport-inspired gift will you be giving him this Father&apos;s Day? 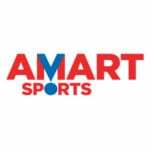 This content was created with thanks to our brand partner Amart Sports.